Fall is approaching, and soon many of the trees will be putting on a bold, colorful display before settling into their winter hibernation. In the process a lot of them will dump leaves all over the place, giving you some clearing up to do. Leaves can be a nuisance. At the same time it’s leaves that create those glorious fall colors, and of course without them there wouldn’t be any trees at all. It’s hard to exaggerate how important leaves are to a tree. In fact, really, they’re what most of the main parts – the trunk and the branches – exist to support; the main purpose of a tree is to lift its leaves up to where they can catch the sunlight. It’s leaves that keep a tree alive. They collect carbon dioxide, which photosynthesis converts to sugars and oxygen. They absorb water vapor from the air. They can also store food and water, provide protection or carry out many other functions to help the tree survive. Think “leaf” and the first thing that comes to mind is probably a flat green item, with a stem at one end and veins running through it. That’s the sort that changes color in fall then lands in your yard, but there are other kinds of leaf too. Knowing a little about them can be very useful to a gardener, so here’s a quick run-down on the types you’re most likely to see. 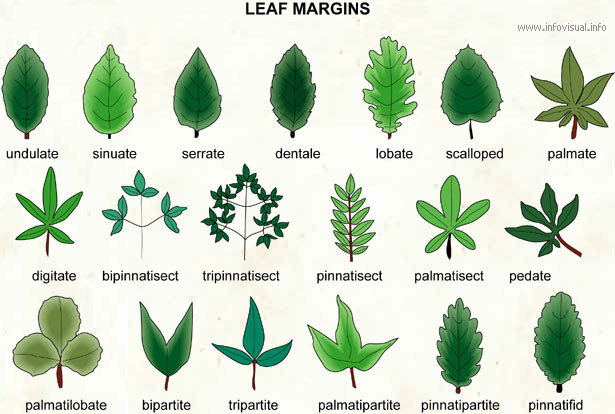 The most common leaves are the kind you find on angiosperms, or flowering plants. That includes most shrubs and deciduous trees. This is the classic leaf, a skeleton of veins with a membrane between them. These leaves are delicate, but very efficient. They have a large surface area that’s great at catching the sunlight and exchanging gases, the main functions of this type of leaf. Unfortunately for the plants they’re also attractive to many animals, including lots of insect pests. That’s one reason they’re usually shed every year and replaced with new growth in the spring – after a single growing season they’re not in very good shape anyway. 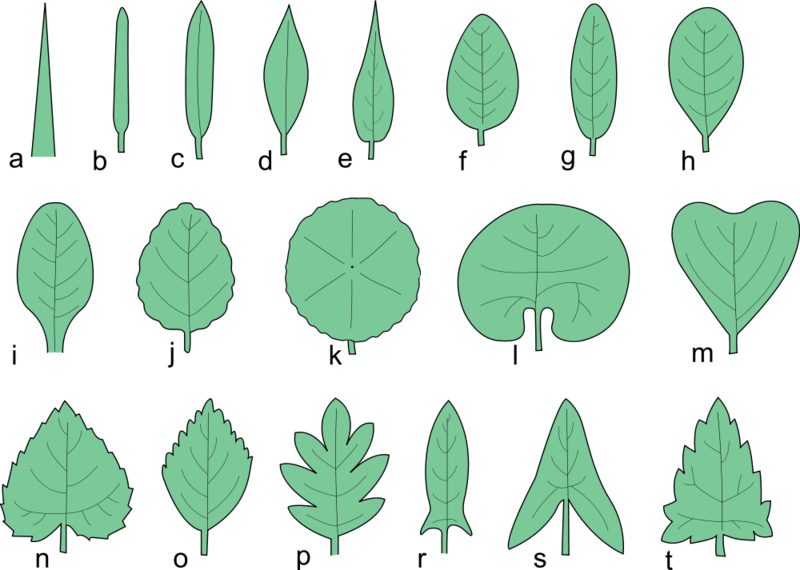 Leaves can be arranged in different ways on the plant. Each species evolves its own way to place leaves as efficiently as possible, so they don’t throw shade on each other. They can grow directly from the stem, often alternating between sides. Sometimes multiple leaves, each on their own stem, grow from a single point on the plant. They can be arranged in a fan, whorl or rosette shape – there’s an almost endless variety. Conifers have a completely different type of leaf. 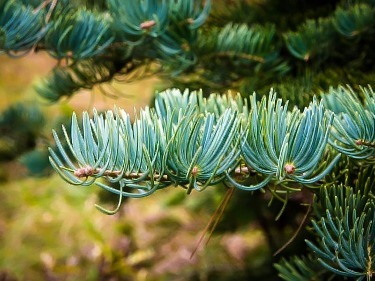 They’re much more durable, because most conifers are evergreen. They do shed old or damaged leaves, but in a constant trickle instead of a sudden fall shower. In general conifer leaves are usually needle-shaped, but there are exceptions. “Needle” doesn’t really do justice to the complexity of many of these leaves, either. Some of them really are just long, slim green spikes; others are ridged or have a square cross-section, for added strength. Some are soft while some form a dense, spiky barrier that helps protect the tree from small animals. Almost all are much more resistant to pests or grazing animals than soft, broad leaves are. Some conifers reduce their leaves even more; look closely at a cypress, for example. What look like green scales covering its twigs are actually tiny leaves, thickly clustered around a vestigial twig. Needles don’t collect sunlight or nutrients as efficiently as a broad leaf will, but they’re much better at resisting harsh weather. Whether it’s freezing cold or extreme heat, needles or scales will survive where normal leaves would be dried out or frozen. Some plants, including ferns, cycads and palms, have fronds. 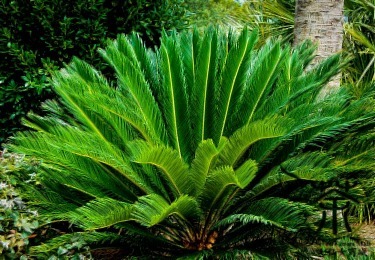 Each frond is actually a single large leaf that’s divided into smaller segments. Like a normal leaf each one grows out from a single, central stalk (called a stipe in this case), but it does so as a series of separate blades. These blades can often have complex shapes of their own, but the whole frond is still just one leaf. That means pests or disease can affect the plant’s appearance very rapidly. Grasses are a huge class of plant, and several species are very popular with gardeners. That includes dramatic and exotic examples like bamboo as well as the more conventional grass you plant your lawn with. Grasses vary widely but most of them have a distinctive form of leaf. This is the sheath style, consisting of very long, slim leaves that grow from the base of the stem and wrap around it. Grasses may have a single leaf per plant, or many; sometimes the base of the stem will be wrapped by multiple leaves that fan out higher up. There are also some unusual plants with very specialized leaves. Many species of insect-eating pitcher plant are good examples; the containers they trap their prey with are highly modified leaves. The Venus flytrap, an even more dramatic carnivorous plant, also uses special leaves to satisfy its appetite. Each of its leaves has a relatively normal main body, which does all the usual leaf things – collecting carbon dioxide, releasing oxygen and carrying out photosynthesis. At the tip, though, it has two lobes either side of a hinge. These lobes carry hairs which sense the arrival of an insect, and they can snap closed in a tenth of a second. Once they do, stiff hairs around the edge prevent the insect from escaping and it will be slowly digested. 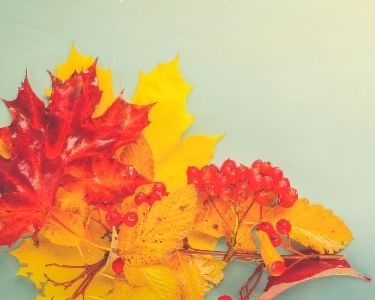 So while leaves may seem simple, they actually come in an amazing variety and many of them are extremely complicated. The flytrap’s leaves can tell the difference between a raindrop and a fly – they only close when something living is between their jaws. Meanwhile the small, scaly leaves of a cypress can survive for many years, steadily feeding the tree with food and moisture. At this time of year leaves feature heavily in the lives of every gardener. Soon they’ll be erupting into a spectacular burst of red, orange and gold, then a few weeks later they’ll be littering the yard in untidy brown heaps. Clearing them up might be exasperating, but at the end of the day leaves are the little green miracles that make your garden what it is. I found a tree that produces some kind of nut or fruit and I want to identify what it is. Help. an elipitacal leaf, has a small pink flower, pods with seeds in them and a cone shaped yellow flower that hangs down. I can’t find it anywhere. Looks like a spreading tree as it grows.